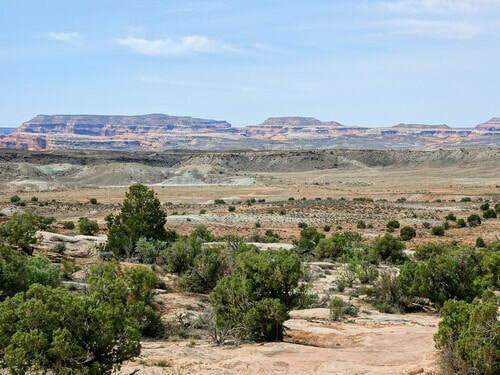 Explore the area between Arches National Park and Highway 191. View a large "pour-off", an old movie set and and some large dinosaur tracks. 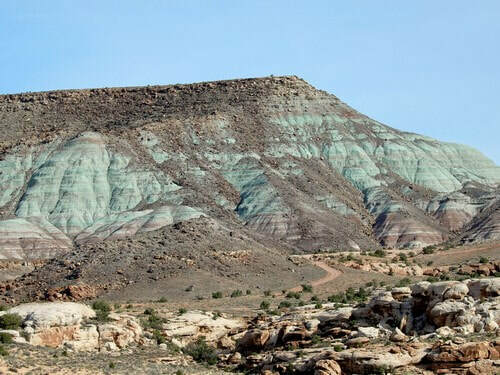 Copper Ridge 2.5 is not as scenic as many Moab trails. 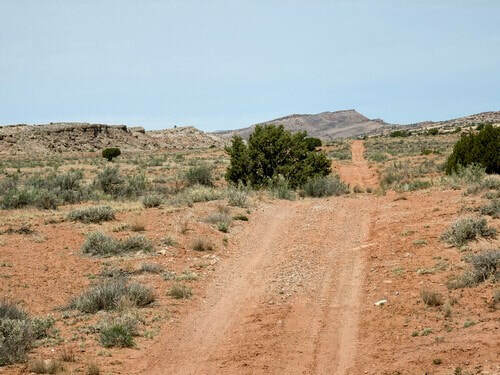 This trail can be driven in either direction, but is described from south to north. 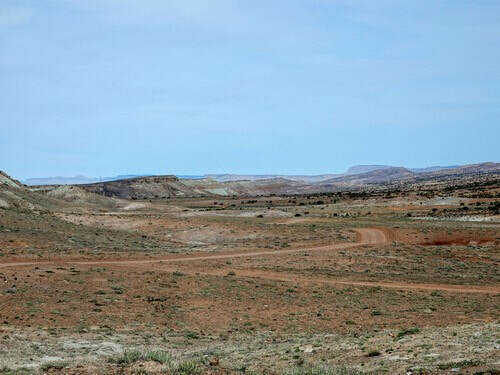 This version of Copper Ridge is slightly different than the one run by Easter Jeep Safari. Shortly after starting the trail you can take a short spur to view a pour-off into Seven Mile Canyon. Well worth a visit. 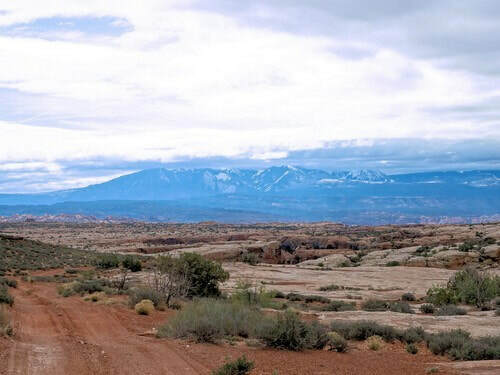 Head east and pass through a short section of Arches National Park. Please be aware that the Park does not allow ATV traffic. Seven Mile Canyon pour off. Head west to leave the Park and drop into Courthouse wash for a bit then head north over low, bumpy ledges. 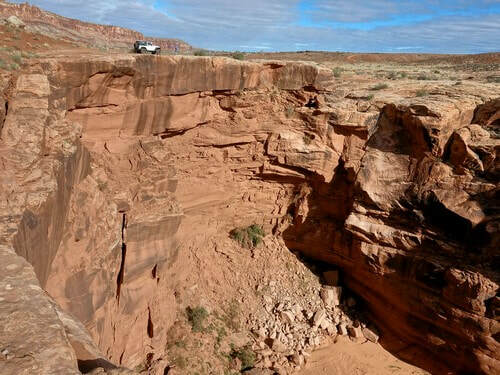 You will find this condition, as well as broken ledges, along much of the trail. 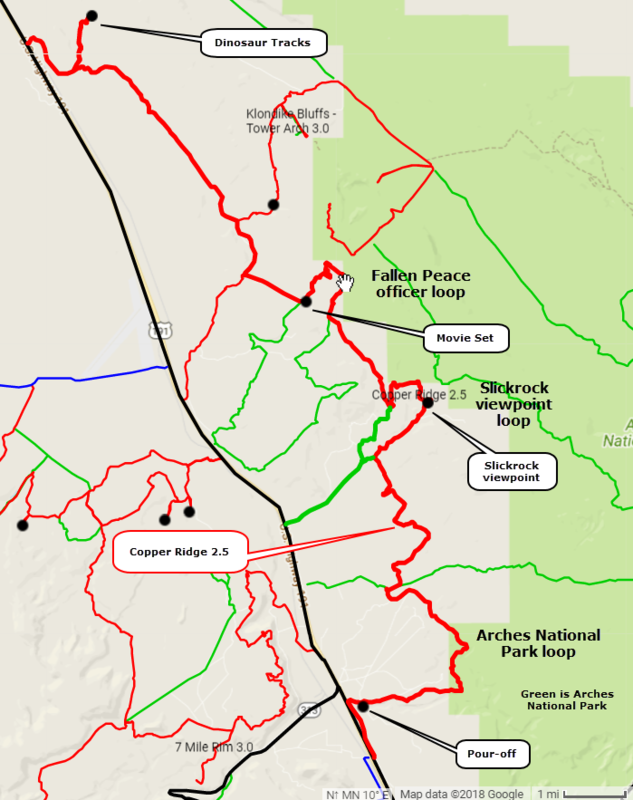 Make another loop easterly then back to the west, passing over a nice slickrock viewpoint. 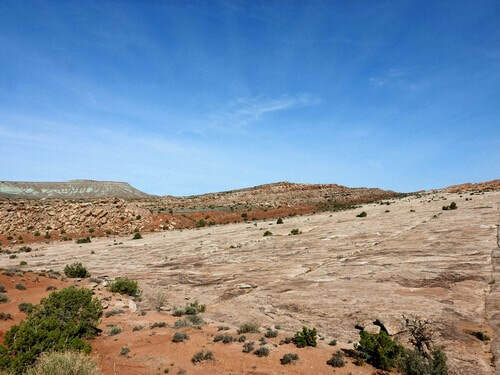 Travel over this slickrock, dropping to the left of the photo and then climbing up to the right of the photo. Head north again and join up with Fallen Peace Officer Trail. We do not feel Fallen Peace Officer Trail is worthy of inclusion on this site, but it is featured in most tourist information. 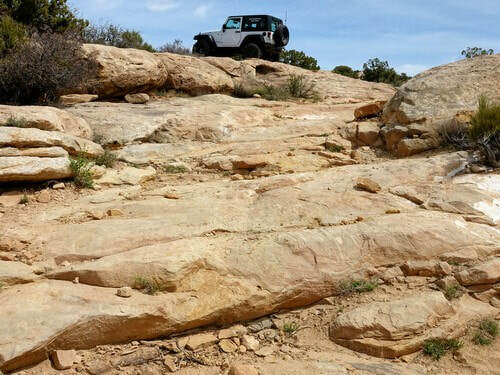 Easter Jeep Safari does include this section in Copper Ridge. Follow the joint Copper Ridge/Fallen Peace Officer trail up over a low ridge and back down to flatter country where there are remains of an old movie set. The trail passes a few remnants of a movie set used in the 1960's film "Blue" with Ricardo Montalban. Turn north yet again over mostly flat, open country. 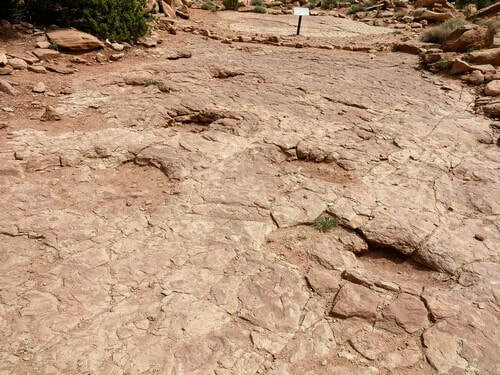 The final point of interest is a visit to the large Copper Ridge Dinosaur Tracks. 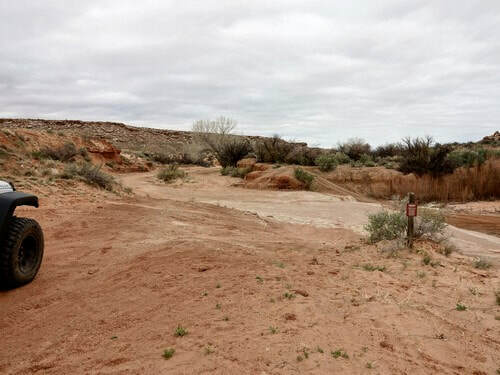 You can park at the gravel road turn-around and hike 500' to the tracks, or you can follow a 3.0 rated Jeep trail and drive to them. 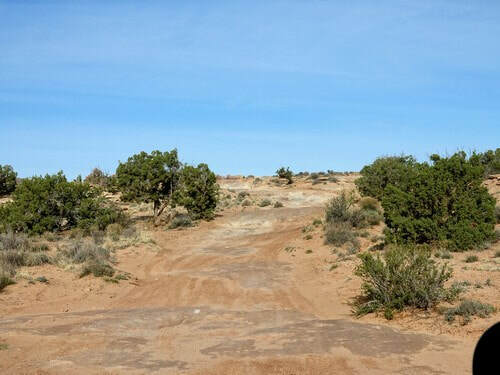 The hiking trail is on the left and the Jeep trail is on the right as you go uphill of the parking area. 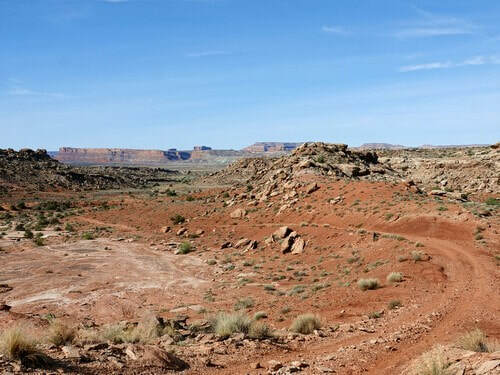 This is a legal Jeep trail, as Easter Jeep Safari follows it in-and-out for quite a distance. We did not bother with it beyond the tracks.